I have always wanted a life coach, but never really wanted to fork over the dough to invest in one. I think God may have heard my prayer, because somehow I stumbled upon Michael Hyatt’s blog, and immediately I found the mentor I have always yearned for in my life. One particular blog post of his dealt with getting out of your “funk”. Yeah, you know…THE FUNK. The Funk is that seemingly intractable rut we get into from time to time in our lives—ruts at work, ruts in our marriages, ruts in our spiritual lives—ruts that cause us to lose our motivation, focus and drive, so that it feels like we’re expending all this energy, but not making any headway whatsoever. A lot like jogging in place. Here are Michael’s “24 Hacks for Getting out of Your Funk” and with my apologies to Michael, there is bonus commentary from yours truly: moi. I am thankful for: rainy days, SPANX, hot chocolate, my fellow Writer Femmes who inspire me daily, cookbooks, the cleansing blood of Jesus Christ, chick flicks, my crazy dog, the beach and Bon Jovi. Yes, Bon Jovi. Hmmm…how can you keep frowning when you hear some of this?? Preferably over an ice cream sundae. Note to self: buy the good Kleenex. With Aloe. Must.not.get.snot.everywhere. Why is my channel always stuck on Nick, Jr.? Hello? I’m already there! Didn’t anyone read my blog post on Monday? My favorite Psalm? Psalms 139. It makes me weep when I think about how much God truly loves me. P.S. Don’t forget the Kleenex from #7. Done. Writing this blog post counts for all three. Your turn. Did I mention how much I LOVE this list? Or, if you’re a couch potato, think about making a potato, not being one. Fully loaded with all of the requisite, indulgent toppings, please. Don’t forget the Kleenex from #7. I really like this one. Just make sure there isn’t food between your teeth. 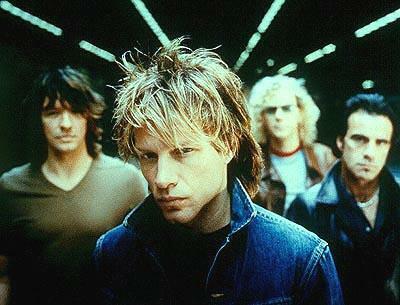 Admit out loud that I love Bon Jovi?? Does a Poke on Facebook count? How about a Love Tweet? Just kidding, honey!! Does anyone have a stamp?? Geez, Michael Hyatt, how long IS this list?? How many more witty things can I possibly come up with to write? Love, laugh and let go in the arms of the great I AM. He IS your NOW. Have I said too much about Bon Jovi in this post? What if everyone thinks I’m obsessed? I’m really not THAT big of a fan. Or, am I?? JON, I LOVE YOU!! !